First, some disclaimers and acknowledgments: I am not a prophet or the son of a prophet. The Karaite Press was my brainchild; so I am biased. There were many people (whom I will not mention) who gave significant amounts of money to the Karaite Jews of America, which became the seed money for the Karaite Press. I thank them tremendously, because this would not have been possible without them. With that out of the way, the Karaite Press is in the process of reproducing and translating several historical Karaite texts. These texts were written originally in Judeo-Arabic, Arabic, and Hebrew. We hope to eventually make our way toward some of the Karaite works written in European languages. But that will take time. The short term goal of the Karaite Press (~3 years) is to produce a curriculum of works for students of Karaite Judaism. Such a curriculum does not currently exist in the English language; and one can argue it does not exist in any language because the best Karaite literature is out of print. Let me give you an idea of what I mean by a curriculum; just about every Orthodox Jew has a canon of books he or she studies in order to develop intellectually. In addition to Torah and Talmud, Orthodox Jews read Rashi’s commentary on the Torah; they read Rambam’s Mishneh Torah; they have a Miqraot Gedolot. Karaites generally do not have access to any of our own commentaries. The Karaite Press is starting to change that – albeit slowly. 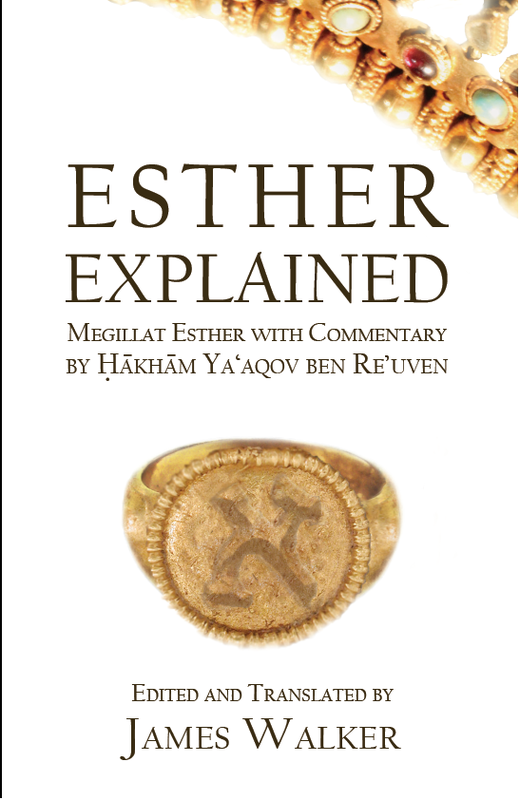 The first work produced by the Karaite Press was Esther Explained, a commentary on the book of Esther, which contains many unique Karaite insights. I am actually not yet allowed to disclose the next few books that the Karaite Press is working on; but I can tell you that one is a historical survey of pillars of the Karaite movement; one is halakhic work on shechita; one is a summary of the differences between Karaites and Rabbanites. And the list goes on and on. Once all this literature is typed up and translated, we want to move it all online so that it is accessible to everyone forever. That will also take time, but it is an important step toward reviving Karaite Jewish studies. I’ll return toward more traditional blogging – about incidents and accidents between Karaites and Rabbanites shortly – once the craziness of the Karaite Press launch subsides. Absolutely and without question, it is brilliant. The translation work by James Walker is eloquent and satisfying. I read the book slowly and word for word in order to absorb all the book nuances. 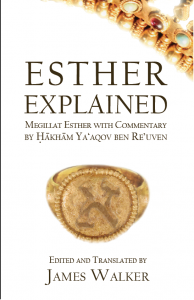 I savored the commentary and was captivated with the gist of the story of our beloved Esther. As was expected, my heart pounded and feared for Mordocai even though I was quite familiar with the story and its ending. In short, it’s a testament to James Walker intelligent work. I was surprised you said nothing about the contribution and amazing work of James Walker in this post, even though you thank Nehemia for typesetting recommendations and other things. Maybe you had featured him previously, but was just wondering. I have the book and love it. But yes; you are correct a more formal recognition here would have been appropriate.